A couple of weeks ago, I was invited to pop down to the Paul & Joe store in swanky Sloane Square as a guest of the lovely Charli from secrets behind the closet door I'm so late getting on with this post but I've just been so busy and didn't want to do a 'rush job' as I have so much I want to say about this beautiful range and I wanted to try out all of the products I was given. 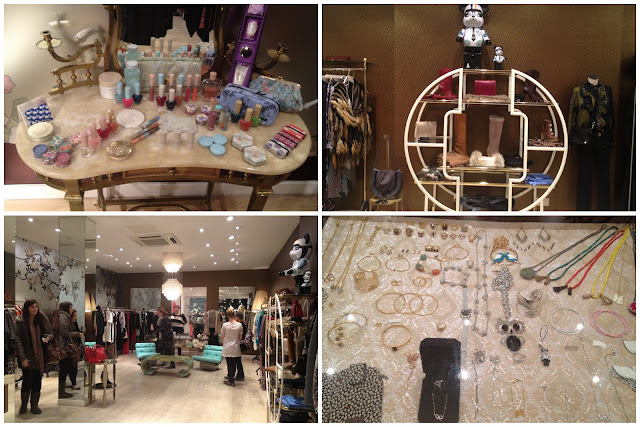 Here are some snaps I took inside the store - isn't it gorgeous? I wish all shops could be like this! 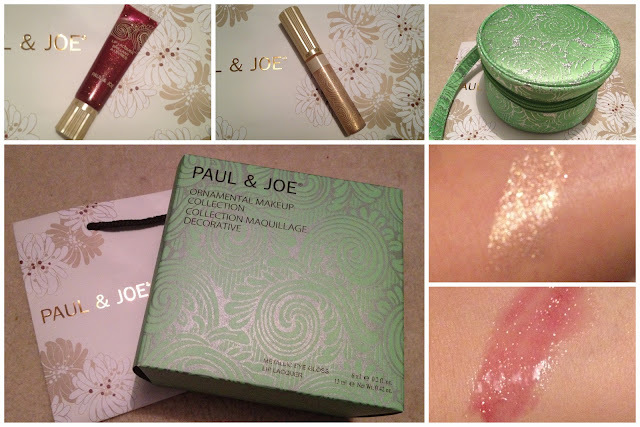 I didn't actually realise what a big range Paul & Joe actually have - I knew of them for their beauty products but didn't realise they sold amazing accessories and clothes too. There were some to die for handbags in the store! 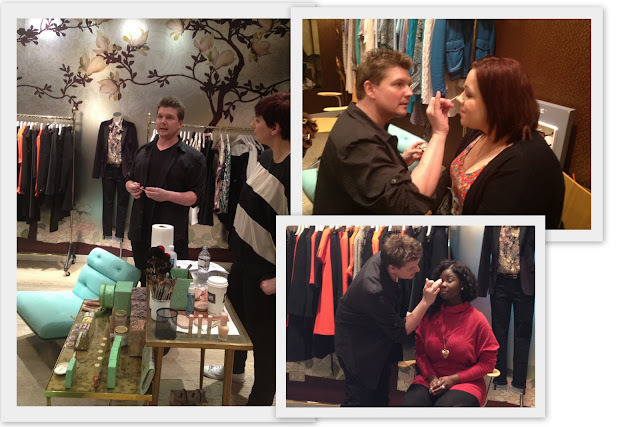 Paul and Joe's make-up artists talked us through the Christmas products and demonstrated them on some of us lucky lot. They also told us so much about the thought that went into creating the products and how they're actually made. I was so surprised to hear that their cosmetics are actually hand made and the long and careful process of producing each piece. I'll be more appreciative next time I look at a product now I know how difficult they can be to make - I always assumed everything was made by machine and that it'd be really easy! Here's Charli, Natalie, Wande and me all showing off the looks Craig did for us with the Christmas products. 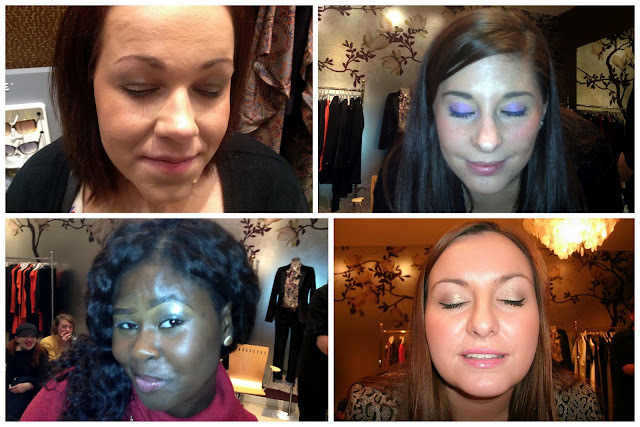 I loved the eyeshadow he used on Natalie and all of the products he used on me. Here are some of the products up close. 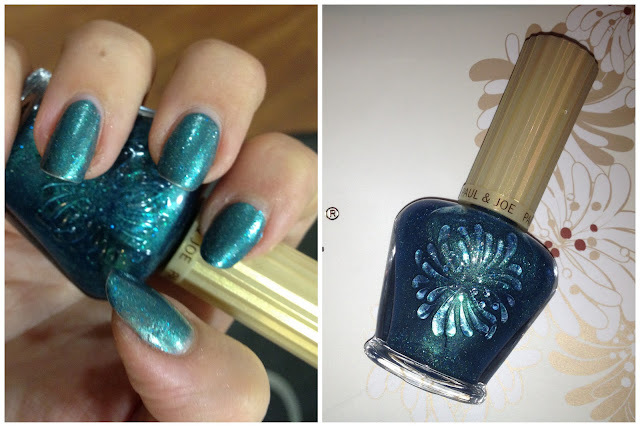 Top left is the ornamental nail polish in shade Hallelujah - it's an amazing iridescent chunky glitter - I cheekily swatched it (okay I painted all of my nails!) 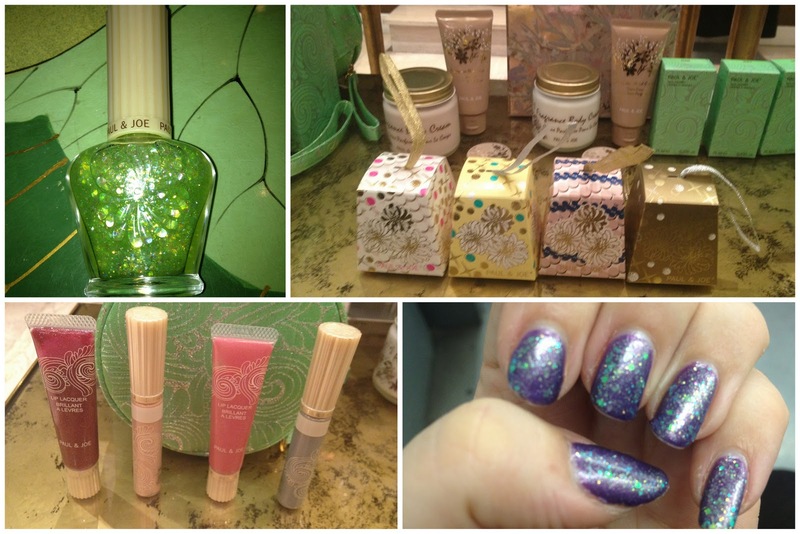 over the purple polish I was wearing in the pic on the bottom right. It's £10.50 Top right are the ornamental eye colours which are dressed up like little tree decorations - these are such perfect gifts for £12. And in the bottom left are the ornamental make-up collection gift sets - you get a liquid eyeshadow and a glitter lip gloss in a choice of shades together with the pretty green make-up bag (£30). The colours on the left are the ones Craig used on me. 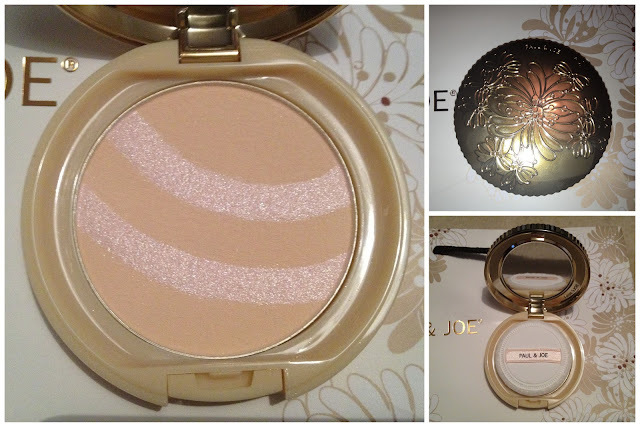 Next, possibly my favourite thing from the whole collection as the packaging is just so luxe and beautiful - the ornamental pressed powder - £22 - in All I want for Christmas. I squealed with delight when I realised I'd got this, I can't explain how much I love it! I've been carrying it everywhere in my handbag and pulling it out for any excuse to use the mirror and show off how lovely the compact is. My friends were super jel! And finally I was really pleased the I got the Ornamental make-up collection in the same colours as Craig had used on me - Noel. 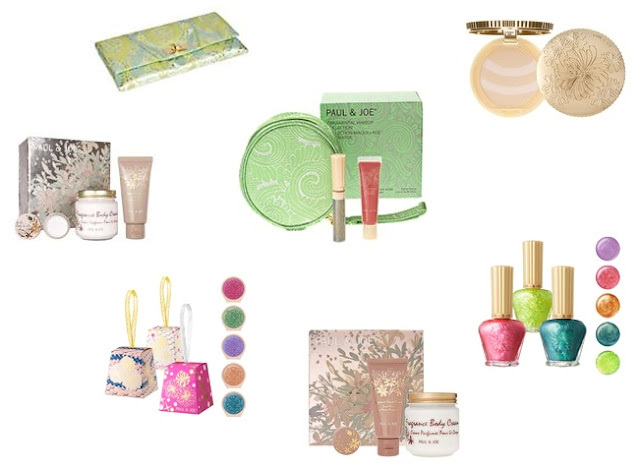 It's a beautiful pale gold metallic eye cream and a glitzy deep raspberry lip gloss. You get both of these products and the lovely round zip up make-up bag for £30 and it comes in a pretty box so it would make an ideal gift. I wore the eye cream for my work Christmas do last week and I wore the lip gloss when I dressed up as a snowflake this weekend (more about that another time!) and I thought both products were fab. 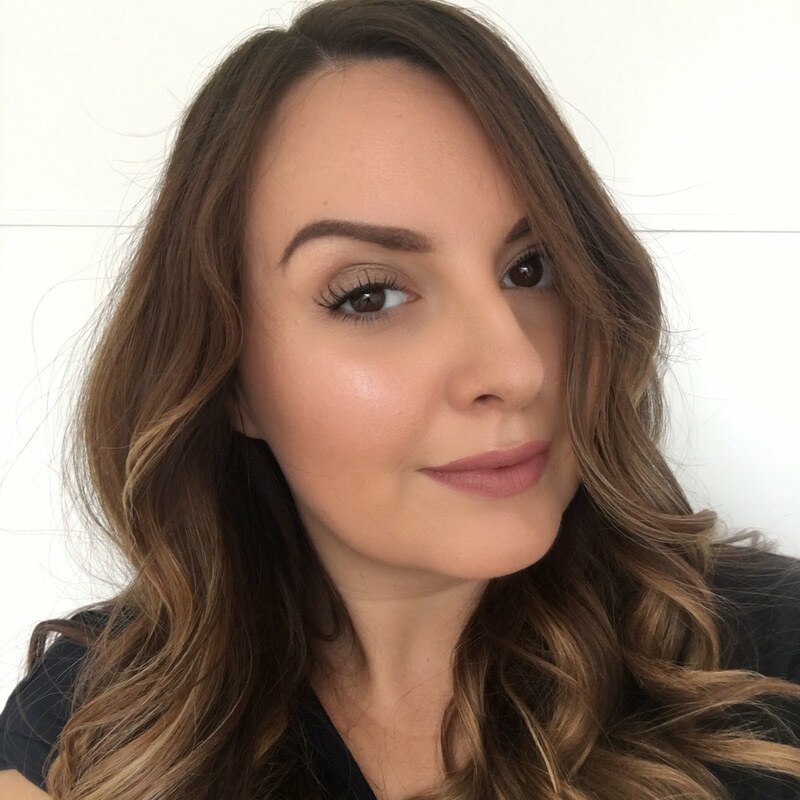 If you want to check out the range and have a little word with Santa yourself about your favourites, have a look on either asos or beautybay to see all of the products. And finally... we were treated to a sneak preview of what's to come in Spring (actually in February). This is the new Meow! collection which is being launched to celebrate Paul & Joe's 10th anniversary. How gorgeous is this?! I'm not even a cat lover and I'm obsessed with these products. I can't wait to get my hands on the blush sticks, they're just too cute and the lipsticks and nail polishes are gorgeous shades too. Guess who has a birthday in the Spring? .... me! What do you think? 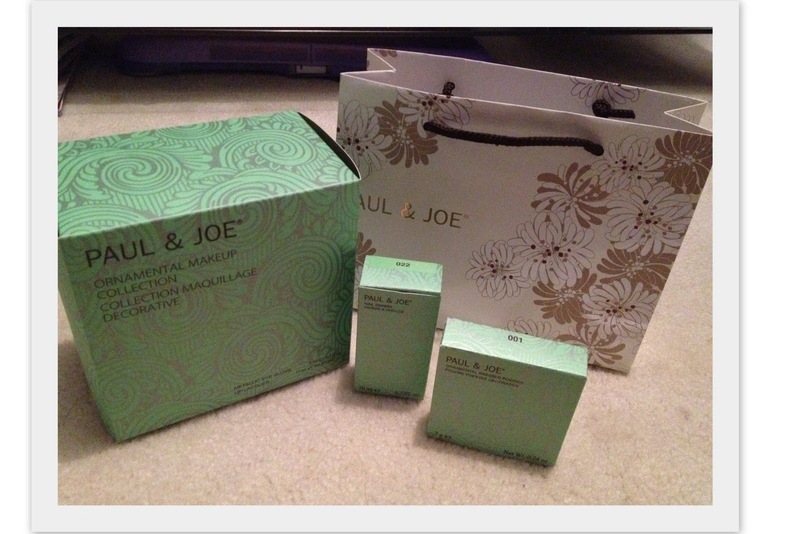 Have you tried Paul & Joe before and are you loving these collections? That purple polish is gorgeous and so is that pressed powder :) I don't think I could use anything from the Meow! collection, I wouldn't want to ruin it! 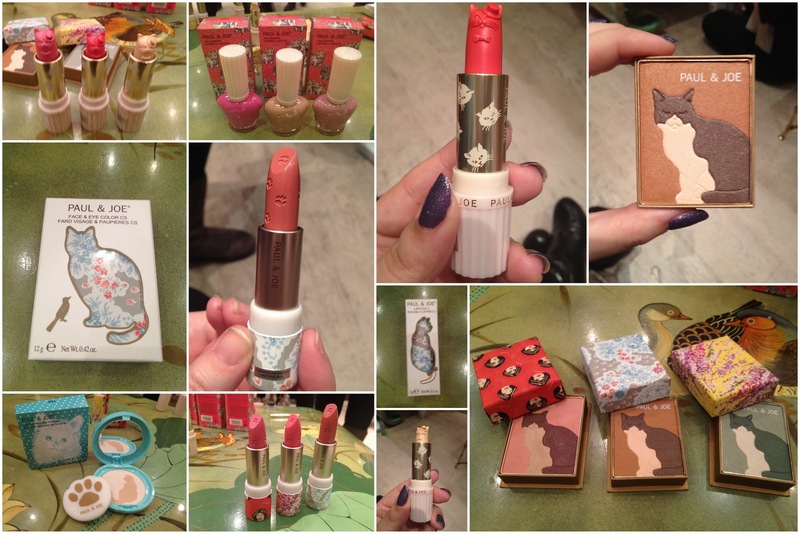 I love the lipsticks i need to buy one! The nail varnishes look like such nice colours!